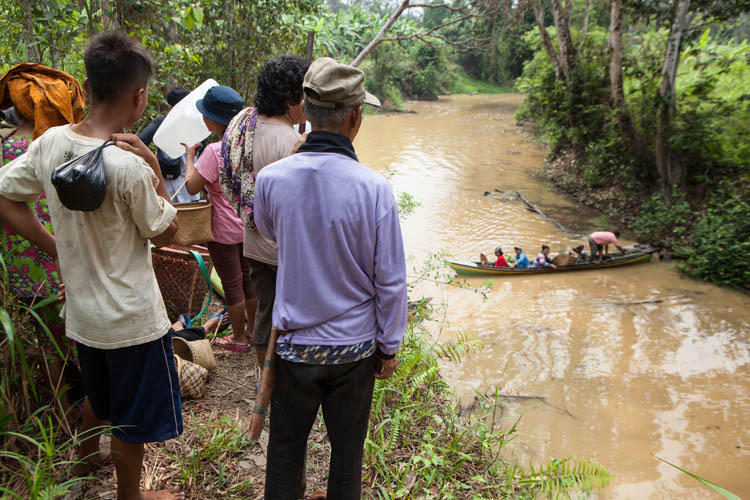 For two years in a row, we’ve had the pleasure of attending and helping with the planting of rice in the Dayak Ngaju village of Tewang Rangkang, on the Katingan River a couple of hours drive to the northwest of our home. It’s the kampung of our dear friend Lelie, who seems to be related to almost everyone in the village! When I wrote about our previous visit I described the rice planting process, and so I won’t repeat the detail now. 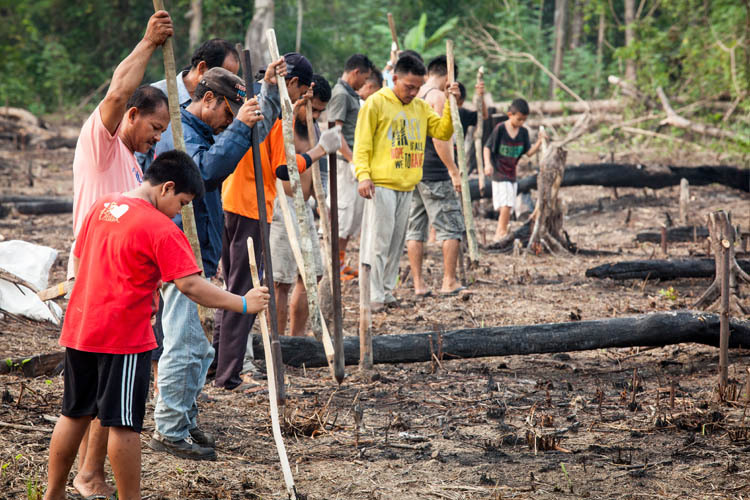 In summary, family and community members get together for a ‘working bee’ (gotong royong) to plant rice for dry cultivation in a newly cleared and burnt field (ladang) in the forest. The event, which incorporates many traditions and procedural requirements from the Kaharingan religion, is known as Manugal. It takes place right at the end of the dry season, around the last week of October. Lelie is now away studying at Gajah Mada University in Jogjakarta, but we were invited back by her family, and stayed overnight in the home of her aunt and uncle, Tante Hentie and Om Indra. That’s them with their ces canoe above. In the evening before Manugal, we walked out to revisit the sandung (family ’tomb’) where the remains of Lelie’s grandparents are interred. It was one year to the day since we had attended Nenek’s Tiwah funeral ceremony. 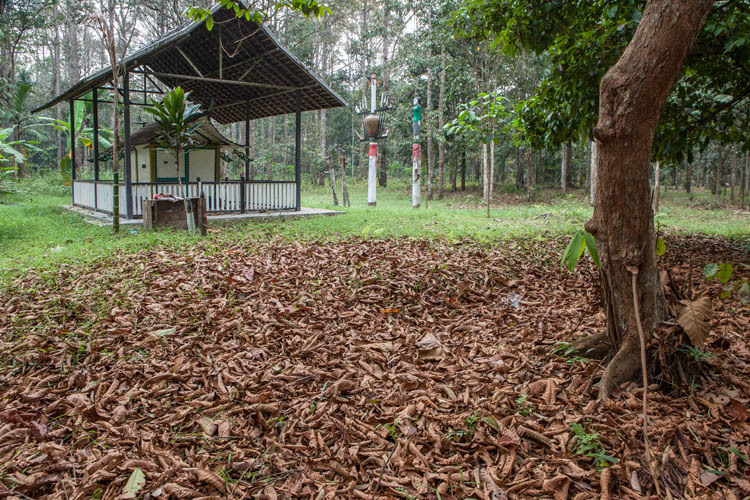 The two white sapundu pillars to the right of the sandung have since been relocated there from their previous location beside the road, where they had served as the tethering posts for the buffalo and cow sacrifices during the Tiwah. 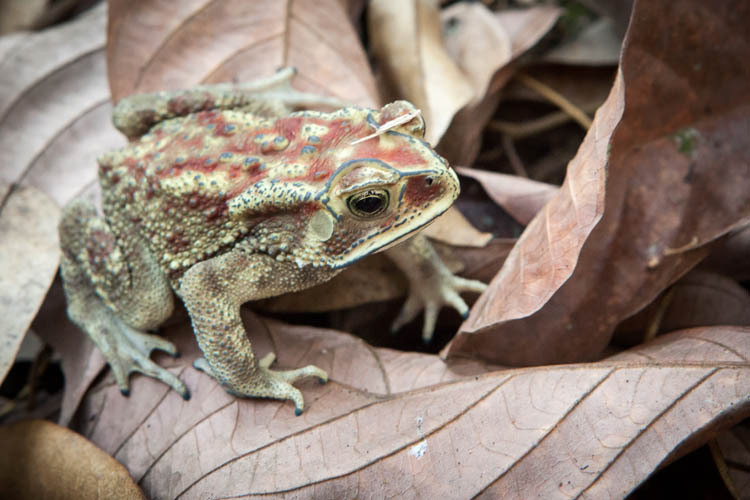 On the way back we chanced upon this large and quite beautiful toad, who was kind enough to pose for some close-ups. 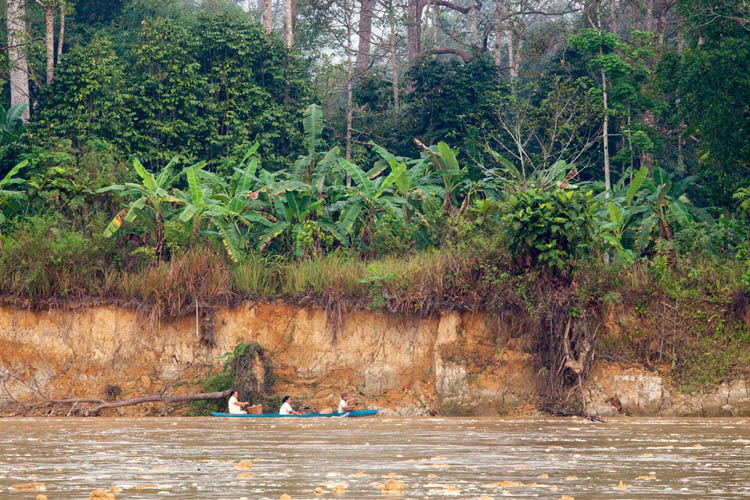 The next morning, after a disturbingly early start, everyone crossed the river by ces canoe, and travelled up a tributary stream to a spot where we could disembark and walk through the forest to the ladang rice field. The first wet season rains had only arrived a few days previously, but the water level was a lot higher than it had been the year before, obviating the need for a lot of muddy hiking. 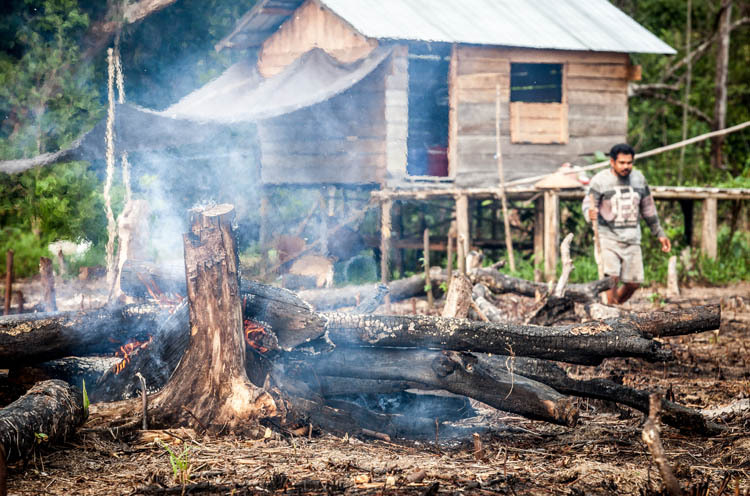 When we reached the ladang, there was still some smoke and flames rising from the clearing fires. 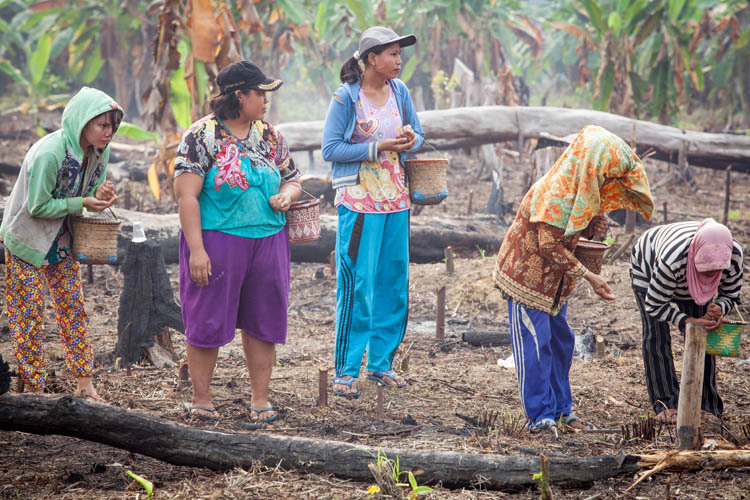 The ladang is actually the same field as was used last year, as they get a few years’ use before the soil fertility becomes too low for cropping (This is very simple agriculture – no cultivation of the soil, no fertilisers, no irrigation or pesticides). The area still contains many felled tree trunks from the original forest. Since last year they have built a stilt hut (pondok) for temporary accommodation while working at the ladang. 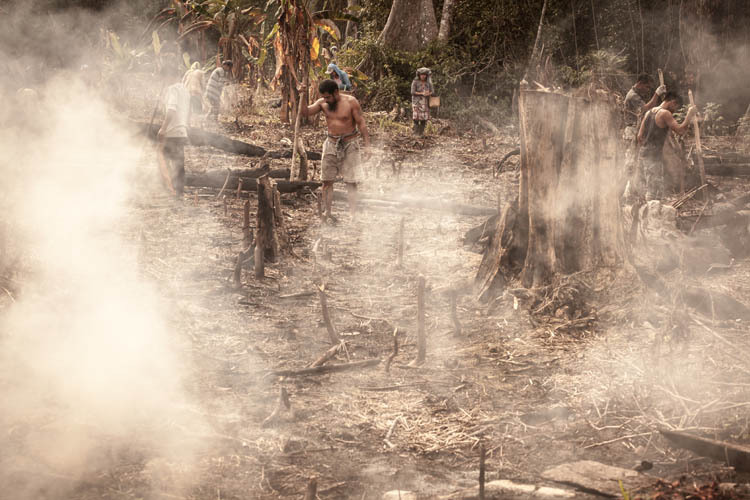 A line of men and boys work their way down the length of the ladang, making shallow holes in the soil with the pointed end of the staff that each carries. Some of the staves (the black ones in the photo) were prized pieces of kayu ulin (ironwood) that they keep for use from year to year. In some areas the smoke was still thick, but no-one seemed to be deterred. 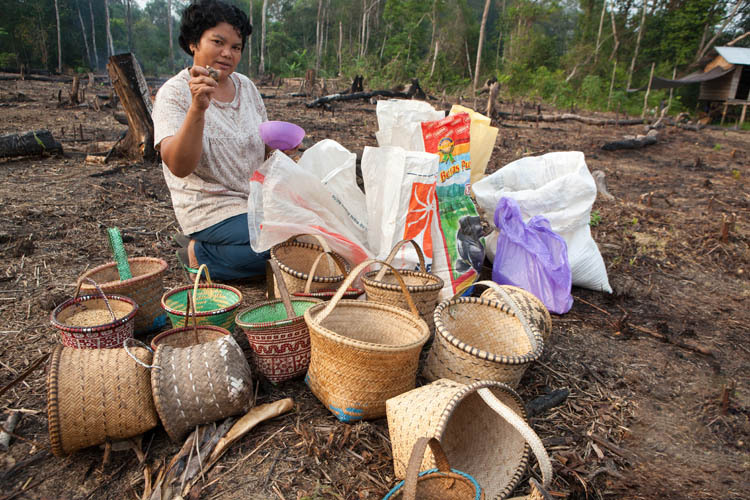 Meanwhile the seed rice is carefully scooped into handmade (mostly rattan) baskets (kusak dare), ready to be planted. There were several varieties including red rice, all saved from the last year’s harvest. No two baskets are the same. Some of them are really finely made, and most show evidence of many years’ use. 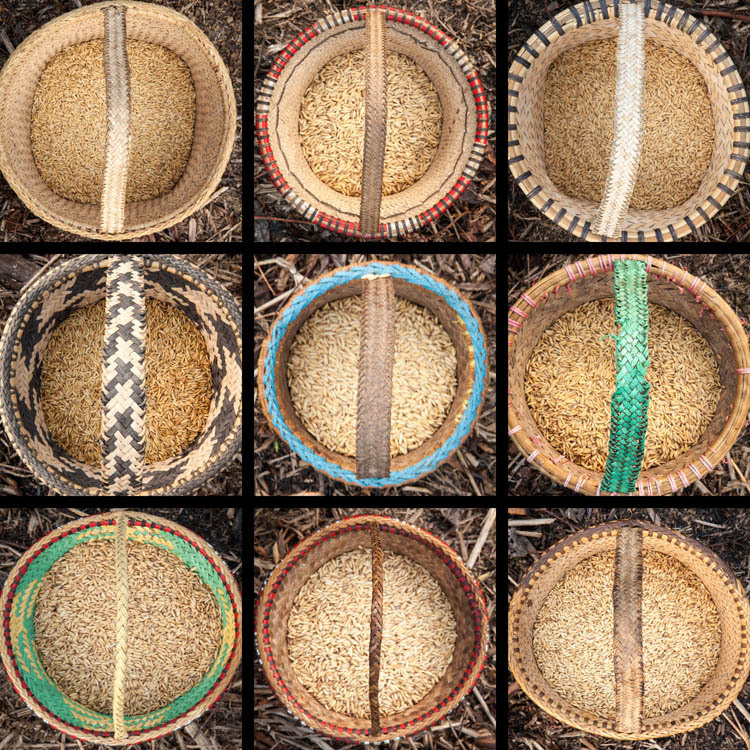 The women and girls follow in a line behind the men, dropping a small number of rice grains into each of the newly made holes. There is a lot of chatting, laughter and tom-foolery in the process. With so many people helping, the sowing was all finished within a few hours. 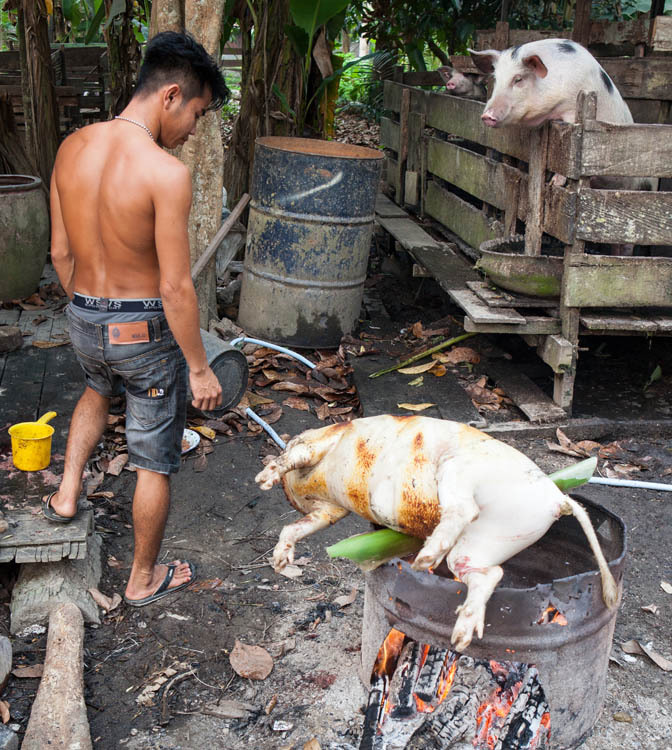 Time then for a big communal meal: plenty of rice of course, plus eggplant and other veggies, and babi ketjap (pork). “Hullo again, Gerald!” Little cakes wrapped in palm leaf, sweet coconut rice and coffee followed. 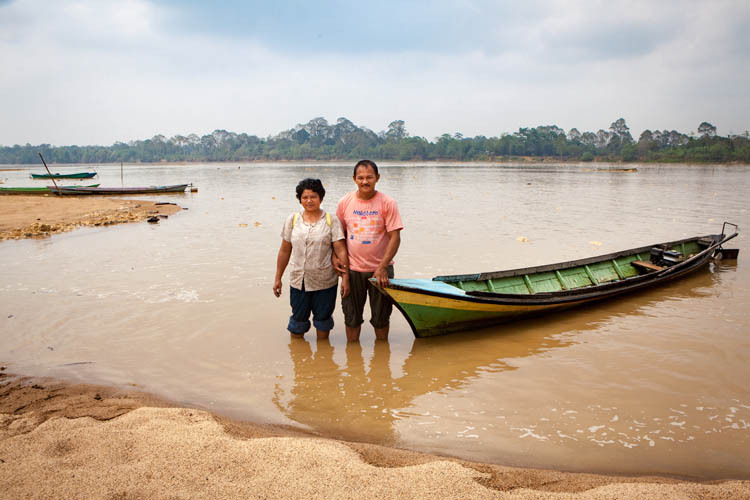 Om Rudi and his daughter Jesica sat nearby at the edge of the ladang, sharing a plate. With the morning’s work finished, and the heat and humidity approaching the daily peak, we all headed back over the river to Tewang Rangkang. 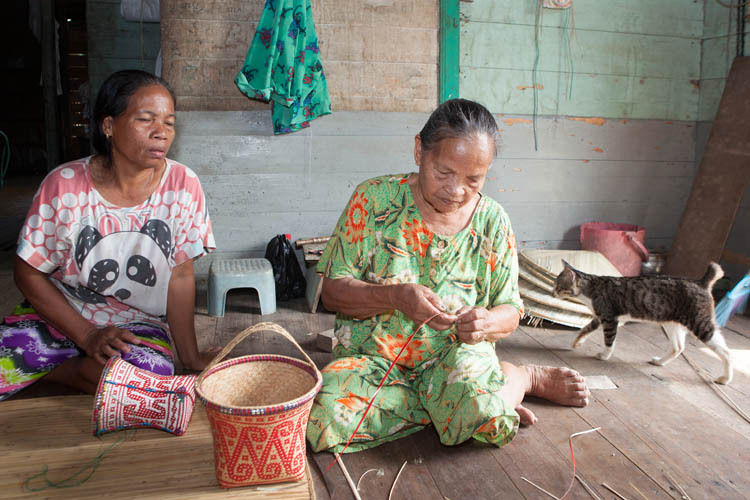 We are very interested in the weaving of rattan (or rotan, they call it), and later we went to visit Ibu Linie, who is possibly the only person in the village who still makes kusak dare baskets and sapuyung hats from rattan. 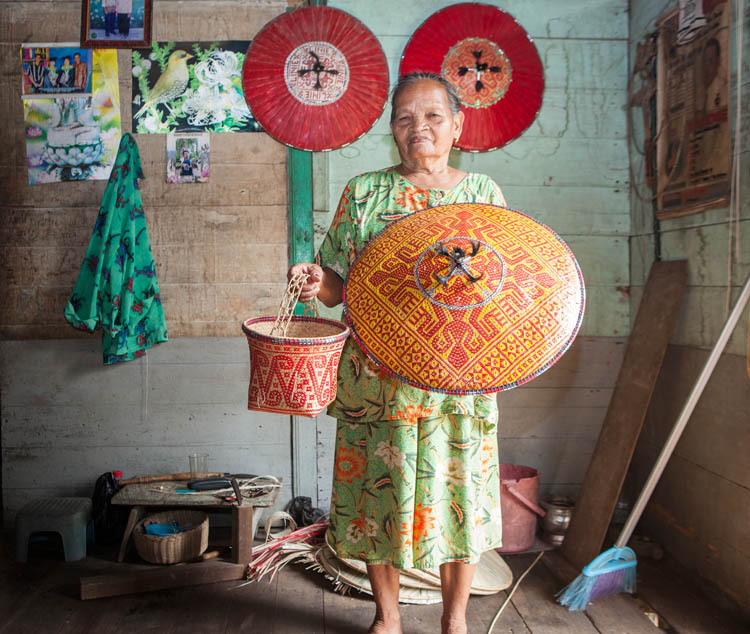 She explained the many and complicated technical steps involved, from selecting the best rattan vines from the forest to preparing them and fashioning the cut canes into useful and attractive objects. After lengthy equivocation, she agreed to part with the basket above, and we established a mutually agreeable price. It now adorns our hall table – but sadly it may never be used for sowing rice at Manugal. 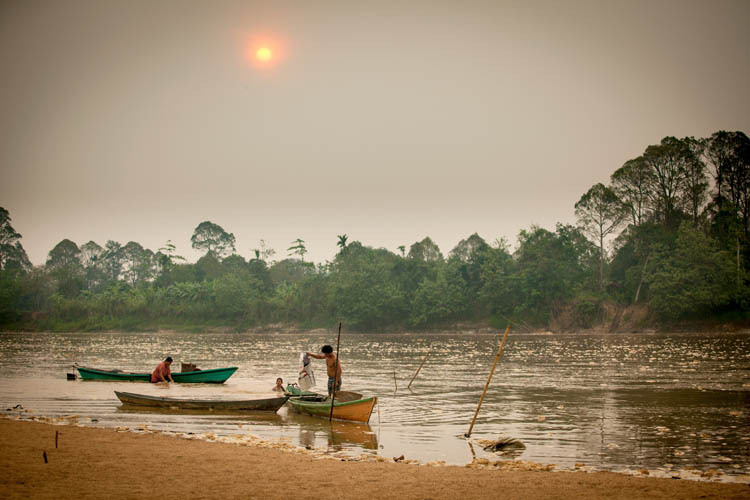 This entry was posted in Indonesia and tagged Central Kalimantan, Kalimantan Tengah, Katingan River, ladang, Manugal, Sungai Katingan, Tewang Rangkang. Bookmark the permalink.